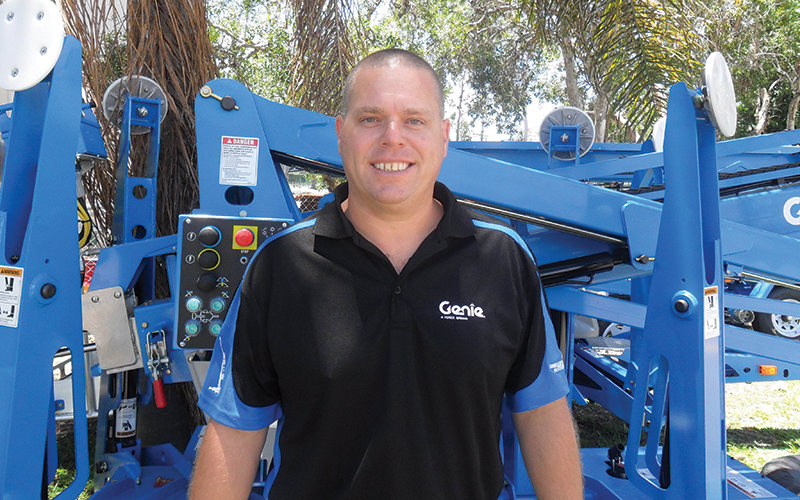 We’re pleased to announce the appointment of Kurt Kinder as the new Regional Sales Manager for QLD and PNG. Kurt took up the position on 12th January 2015, and takes over in this role from Brian Clifford, who has been promoted within Terex to Sales/Dealer Development Manager for Terex Utilities. Kurt has had some 16 years experience in the commercial, industrial and construction sectors of the aerial work platforms sales and rental equipment industry. He also owned a rental equipment company for five years and well understands customers’ needs and how best to meet them. Genie wishes Kurt well in his new role and is confident he will carry on the good work and service commitment to customers as his predecessor.